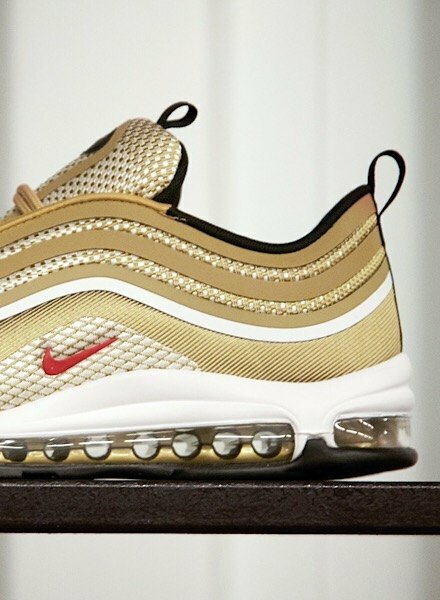 There’s only 4 days to go until Air Max Day, and we’re back with the third instalment of the Air Max Icons series – ready to check out the Air Max 97! The 97 has its own identity like all Air Max, but is a cousin to the Spiridon; both designed by Christian Tresser. 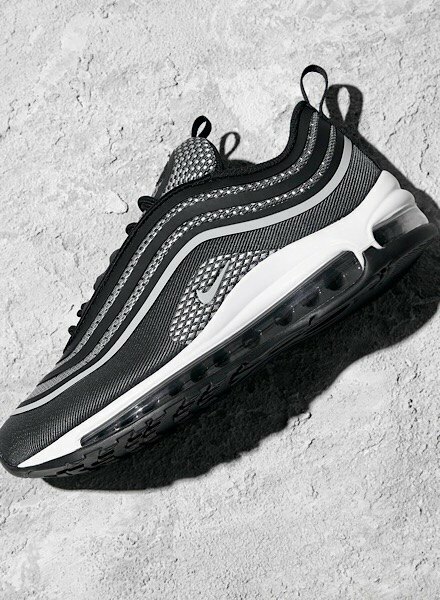 The 97 originally launched in the world famous “Silver Bullet” colourway, which was actually inspired by the metallic finishes on mountain bikes. The Silver Bullet been a smash hit at JD since it was retro’d for the shoe’s 20th birthday. The design of the 97 nods towards high-speed Japanese Bullet Trains, as well as the ripples caused by a drop of rain in a puddle. Its hidden lacing system is taken for granted now but at the time this was game-changing. A low-key contrast to the 360° reflectivity and high-shine panelling, the lacing system is an easy feature to overlook but a huge part of its DNA. They’re also equipped with a mini swoosh and a ground-breaking full-length Air unit that incorporates a layer of poly foam for ultimate cushioning. There have been several hybrid versions created over the years, including a slip on! Like all Air Max, these were a hit with celebs including Sporty Spice, Michael Johnson and Carl Lewis. The OG has been reworked and comes in a super sleek ‘Ultra’ edition that has sold out across men’s, women’s and kids’ every time a colourway has launched or been re-stocked at JD. Check out the current range here, but be sure to keep an eye out for new drops! Missed the rest of the Air Max Icons series? Check out the Air Max 90 and the Air Max 95.